The connections at Boy’s state are ones that will last a lifetime. Generation after generation of fathers who went to Boys’ State will send their sons to Boys’ State. No family embodies that better than the Perlinger Family. Carrick Perlinger attended Boys state in 2012 and won Governor. However, when Carrick looks back at his time at CBS it’s not winning anything he remembers, it’s the bonds he formed at CBS. Those bonds have not only been formed when he was a Boys’ Stater but each time he came back as a counselor. Each time Carrick came back he experienced that same brotherhood. Carrick didn’t come back to sign bills and look pretty, he came back to shape the next line of men and let them have the same experience and bond. 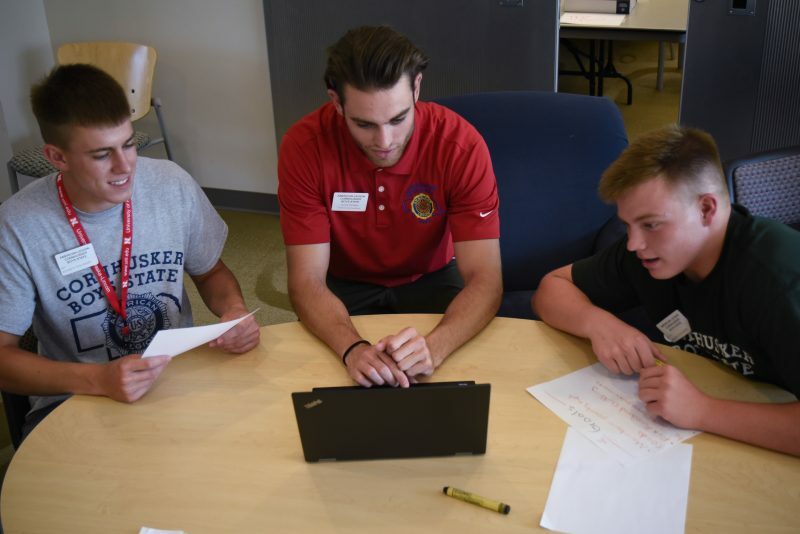 So when his twin younger brothers asked whether they should do Boys’ State it was an easy answer. This year all three brothers have experienced 2018 CBS. Aidon and Bennett (Carrick’s siblings) said that they saw what their brother spoke of immediately. This was not just some government camp to inspire, it went far deeper. Aidon spoke of how, unlike other camps, CBS is a brotherhood, one that exists due to the goodness of others. The Perlinger family is only one example of the legacy of CBS. A legacy that is maintained by the goodwill of others. Others who understand CBS isn’t about winning, its about uniting others and shaping a lifetime.